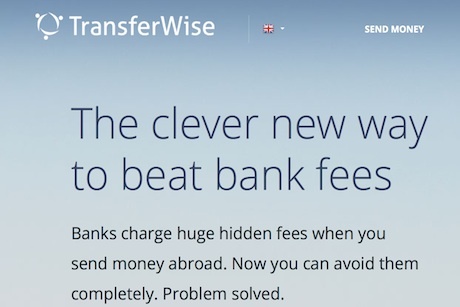 Prominent tech start-up TransferWise has provoked agency ire after launching a £3,000 hunt for a creative idea that it plans to hand on to another agency to implement. The company, which offers peer-to-peer online money transfers and has been backed by Richard Branson, recently sent out an email requesting "big ideas" for an upcoming stunt in London. The RFP stated that "the guys who we use for execution are already retained and in place, all we need is the ideas" and added that "virality" after execution of the stunt would also be important. It allocated a £3,000 fee budget for the creative idea, estimating the stunt to cost £40-£50,000 to implement. The request prompted condemnation from Tin Man Communications MD Mandy Sharp, who said she had not seen anything like it before and described it as "emblematic of the problems facing the PR industry". She added: "We pride ourselves on exceptional, creative ideas. This sort of approach from clients completely devalues the industry." London-based TransferWise was launched in 2011 and last year secured a $6m investment round led by Valar Ventures, a venture fund founded by PayPal co-founder Peter Thiel. In the email it described itself as a "confident, disruptive challenger brand" that was "looking for ‘back of a fag packet’ ideas" and agencies that "can churn out clever ideas". "Of course, it’s different if an agency is working as part of a global team and it is being paid specifically to come up with strategic and creative concepts that local market agencies will then implement," added Sharp. "This makes sense. But to ask agencies to ‘pitch’ for a £3,000 idea and implementation plan that another agency will then execute, make money on and receive recognition for, is disrespectful for both agencies." A spokeswoman for TransferWise said that the company had not meant to offend and its request was part of a broader effort by the company to "do things differently". "We were looking to take a new approach and reach out to a large pool of people, from one-man bands to creative agencies, with a view to cutting out the large pitch processes that can take place," she said. "We didn’t expect this response and didn’t mean to offend anyone, and just wanted to be transparent in how we were doing things." What makes a successful client-agency relationship?